Facebook released its yearly carbon emissions data, indicating that its server farms, office space and employee commuting are key factors in its emissions portfolio. Photo by Marcin Wichary. 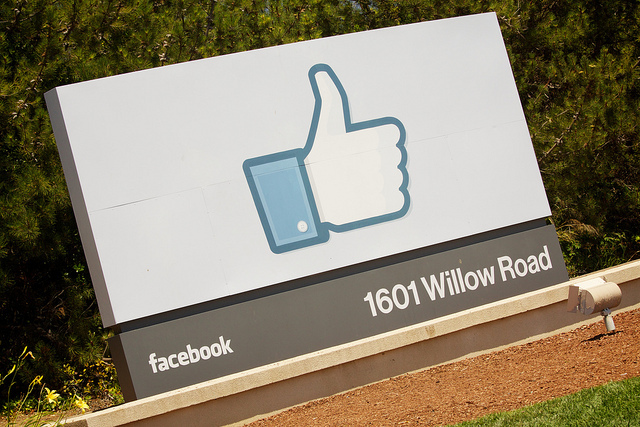 Facebook released its total carbon emissions footprint. The global social networking company generates a net carbon emission per-user equivalent to what is required to produce a medium latte or about three large bananas. The report indicates that most of its 532 million kilowatt hours of power consumed came from its server data centers, its office space (located in suburbs of San Francisco,) employee air travel, construction and employee commuting, producing approximately 285,000 metric tonnes of carbon emissions yearly. For further analysis of Facebook’s carbon footprint, read this post from The World Resources Institute’s blog, WRI Insights. The U.S. National Highway Traffic Safety Administration (NHSTA) found the pedestrian mortality rates for traffic crashes has increased. The report, “Traffic Safety Facts: 2010 Data”, presents traffic injury data by time of day, age, alcohol impairment, weather and regional data. Though the pedestrian share of mortality had increased between 2009 and 2010, pedestrian mortality rates overall have declined more than 14 percent since 2001. Pike Research released its annual fuel cells report, forecasting the value chain for portable hydrogen fuel cells to be worth $15.7 billion by 2017. Though the overall fuel cell market is set to grow, the biggest growth experienced in the last three years has not come from a stationary sector and has experienced a net decrease in the automotive sector. A report details the social behavior of long distance bus passengers in n the United States, characterizing “nonsocial transient behavior” between Greyhound bus riders. Passengers “actively disengage” with one another on several day journeys across vast stretches of roadways, due to the absence of personal space, privacy and exhaustion.